Swedish automaker has unveiled the facelifts for its V40 hatchback and V40 Cross Country luxury crossover models. The most significant incorporation on these new cars has to be Volvo’s ‘Thor’s Hammer’ headlights and doing so, the cars have joined the lineup of company’s other models, like the XC90 SUV and S90 luxury sedan, which also share the same design philosophy. 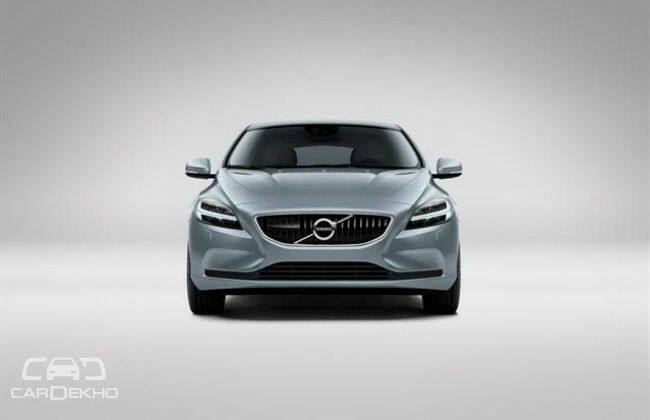 The front fascia of the car also features a refreshed black mesh grill, which incorporates a more prominent Volvo Iron Mark. There are also 5 new additions to the range of color schemes offered for these cars, which now include, Amazon Blue, Bursting Blue, Denim Blue, Mussel Blue and Luminous Sand. The cars continue to be powered by the 2.0-litre Turbo Diesel and 1.6-litre Turbo Petrol engines, which produce 150bhp and 180bhp of power output, respectively. Even though Volvo has not introduced any new engine options in the updated cars, the company has tweaked the existing diesel MT unit to be more eco-friendly, by reducing its CO2 emissions to 89 g/km. This mean that not only do these Volvo’s keep the occupants and pedestrians safe but also safeguard the world they and the rest of us live in.